INDUSTRY.co.id - Jakarta - The ruins of former prisoners and well-preserved hotels in Australia will be on display for the public for the first time after 200 years when it unveiled its new historic center of Parramatta last week. During this hidden underground, the wreckage of the 1800s prison and cellar in one of the oldest pubs in Parramatta built in 1801, the Wheatsheaf Hotel, was discovered during the construction of a new residential tower at 45 Macquarie Street. The head of the NSW State Government, Gladys Berejiklian, along with Crown Group Commissioner and CEO Iwan Sunito, cut the ribbon to open the historic center in front of more than 100 people and community leaders right at 12:00 noon. Wheatsheaf Hotel (1801-1809) is located on the Western Road in Parramatta and has become one of the first major buildings visible when entering the city area from the west between 1801 and 1810. During the excavation it was revealed that the old Wheatsheaf Hotel was the oldest hotel ruins in Australia. Archaeologists also found wells that once used to access drinking water, a workshop used to make wheels for the 1800s carts and bread ovens used to make bread in large quantities were also found alongside dinner plates, children's toys, bottles of the century the 19th and hundreds of artifacts that go on display. Once the excavation process has been completed, the sensitive site is protected by a concrete canopy that allows the construction of a 590 apartment tower to continue, and then this historical site is immortalized into the new 'Philip Ruddock Heritage Center', and will be open to the public every day. It is said to be Parramatta Vertical Village, V by Crown Group as high as 29 floors has 590 units of apartments, swimming pool, gym, five star hotel and modern restaurant. The historical center located on the ground floor of the building is officially enshrined by the name of former Parliamentary MP Parramatta and one of Australia's longest-running federal politician Philip Ruddock, recently elected Mayor of Hornsby. Ruddock said that he felt very honored to know the historical heritage center that perpetuates his name. "Crown Group has done a remarkable job for this project and I am proud to know that my name is used for this site," Ruddock said. He adds, this very reflects my view of development. "We need to keep moving forward, but at the same time it is very important to maintain our heritage," he said. 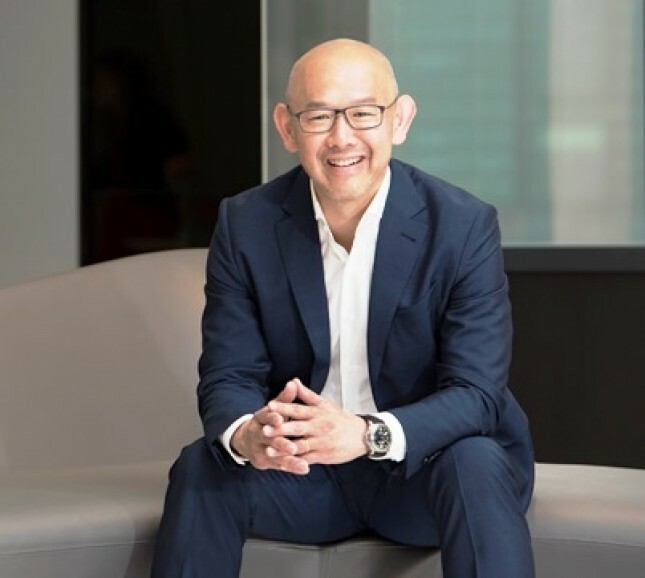 Meanwhile, Crown Group Commissioner and CEO Iwan Sunito said that V by Crown Group has set a new standard in the integration of public and private space in residential development. "When we acquired this site in Parramatta we knew right away that we had to build a truly special building. This site is located at the main intersection of the growing Parramatta CBD and we know it must be a great design for the future, something that has never existed before, "said Iwan Sunito through a written statement in Jakarta (18/12/2017). Furthermore, he revealed, many developers will see such important archaeological finds as undesirable obstacles. "However, we see it as a once-in-a-lifetime opportunity to create something for society. Our vision for V by Crown Group is bringing the past, present and future together," Iwan said. On the other hand, the chief archaeologist for the project, Dr. Ted Higginbotham, said the discovery was a big surprise, since it was previously thought that the site on Macquarie Street was less awake. "This is an interesting discovery, even though there was a concrete pillar from the previous construction, the site is well preserved. This is the first time the ruins of a prison house can be exhibited. breadman oven, wheel workshop, brick cottage which can then be matched with the occupant's history known to stay in that location, "he said. This archeology also reveals many contributions from the early settlers to the development of Parramatta. The prison house looks striking when compared to the Old Government House in Parramatta Park. This is for the first time the ruins of detention houses can be displayed to the public. Previously found other ruins of detention houses in different locations and may not be displayed to the public because its wood material does not survive. However, in this case it can still be preserved in this historic center with the condition of wood material that is still well preserved. The Philip Ruddock Heritage Center also features a walk-through wall that features the history of Parramatta more broadly and a video explaining chronologically and detailedly about his invention. The historic center is open to the public every day from 10:00 to 11:30 am and 14: 30-16: 00 local time. Visitors can enter comfortably and spend time exploring the rich history of the Parramatta area. No reservations required.